"Making Tax Digital" - the new UK Government initiative to move to quarterly and online reporting - is causing a bit of confusion around who needs to do what. Here we break it down into 7 steps, and explain each one. You may have heard about the UK Governments' intiative called "Making Tax Digital" (MTD) or even "Making Tax Digital for Business" (MTDfB). We recently set out the latest timetable for implementation in a separate arrticle. Here we're tackling the questions we're increasingly asked; "who needs to do what, and when, for MTD?" Step 1: The business keeps its records in a digital format, on a timely basis. The business reports to HMRC summaries of income and expenses (in prescribed categories), primarily to prove it has done step 1. These quarterly updates must be transmitted using accounting software; HMRC has confirmed that they will not be providing their own bookkeeping /accounting software and that the use of “digital record keeping software that links to and updates business’s digital accounts with HMRC” will be mandatory, except for taxpayers who are exempt from MTD (annual turnover less than £10,000). HMRC does not expect accountants to intervene at this stage and review each update for accuracy and disallowable items. The HMRC computer takes the reported results and updates the taxpayer’s digital tax account with the expected tax position. There is no human intervention by HMRC at this stage. The business owner accesses their digital tax account which indicates how much tax they will have to pay on profits. 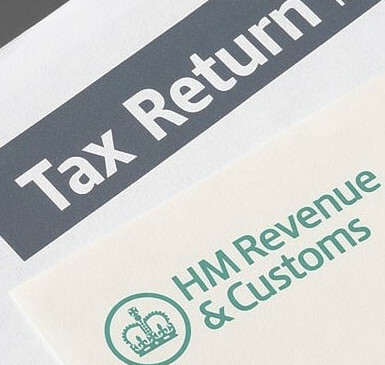 HMRC are also keen to emphasise that businesses can use this information to make regular voluntarily tax payments throughout the year, which will ease the nasty surprise of the big tax bill which becomes due months after the year end. This is the new name for the SA tax return, which must be filed (as now) by the later of 31 January following end of the tax year, or three months after HMRC sends a notice to the taxpayer to make a return. As you can see, there are a number of questions still outstanding; we'll update this article as and when things become clearer..In the meantime, please contact us if you have concerns.